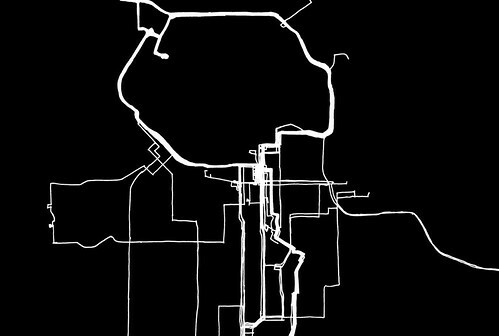 This psychogeography experiment involved nine of my friend’s mobility patterns throughout Vancouver during the month of February, 2005. 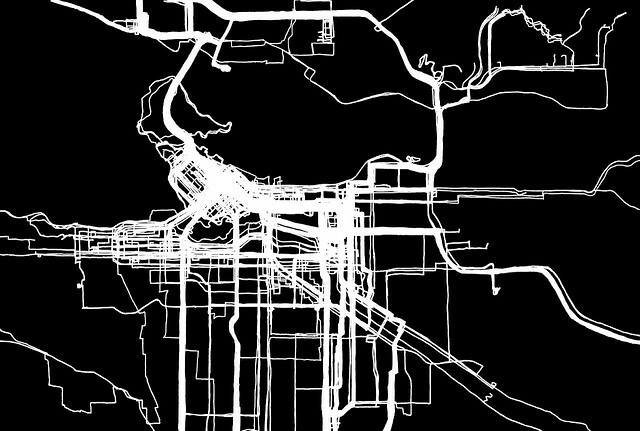 The image above is comprised of all nine friends daily mobility patterns superimposed, revealing a recognizable map of Vancouver. 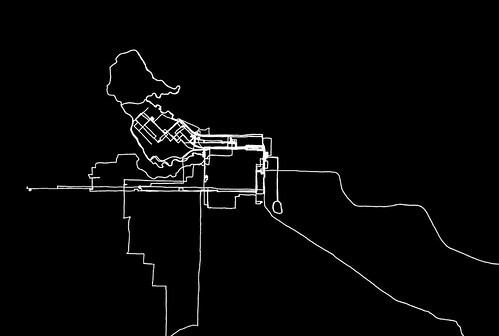 The project was inspired by the Waag Society’s Amsterdam Real-time project. But our project was done old skool, without GPS or Google MyMaps. 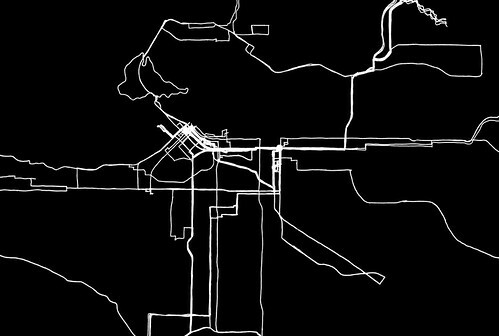 Each person was given large format trace paper, a map of Vancouver, and a black Sharpie pen. 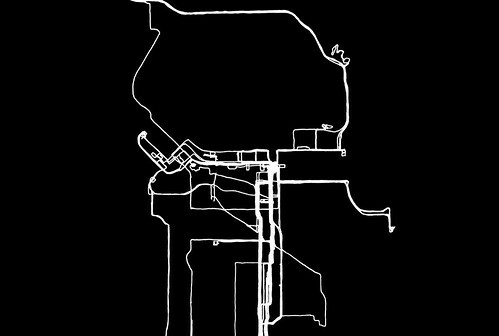 At the end of each day we traced our movements throughout the city on a separate sheet of trace paper, which was layered over the preceding days. It was a fascinating journaling exercise. 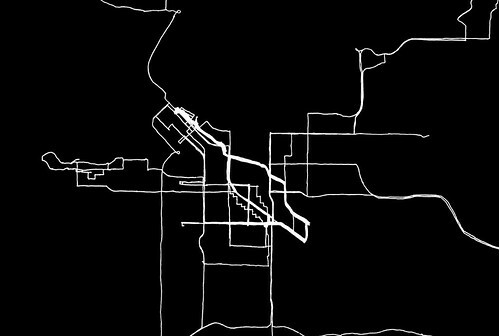 As the days went by, the patterns of our routes were revealed to us and we began to realize the limited and predictable space we pass through in our urban environment, and the peculiar shape it takes. 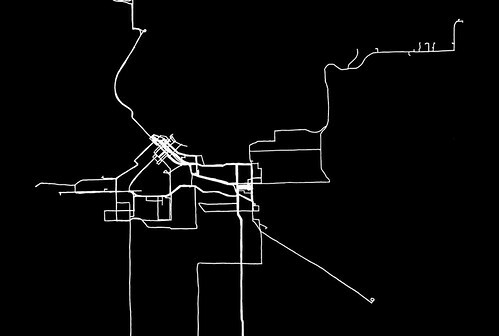 This visual feedback caused many of us to question the routes we take, and subsequently caused a change in behaviour as we began to change our mobility patterns. 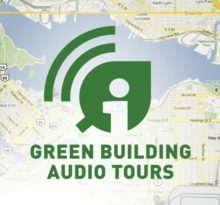 Many observed that the habit patterns of our movements through space reflect the habit patterns of our minds, and that changing how we move through space changes how we think and what we experience. 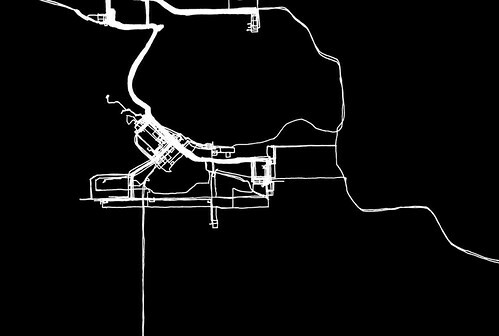 All of the traced maps were painstakingly scanned to image files and manually superimposed to create the image shown above. The thicker the lines, the more “people traffic” through that space. Below are each person’s month of movements, along with the final compiled map. 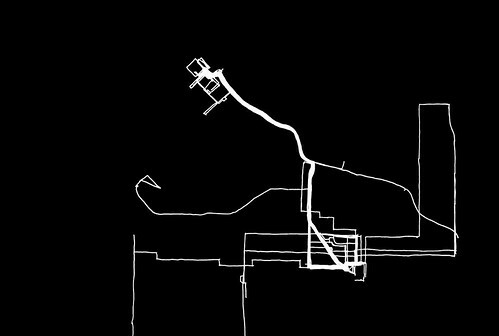 Fascinated by personal experimentations with psychogeography, I began to wonder how social networks move through physical space. 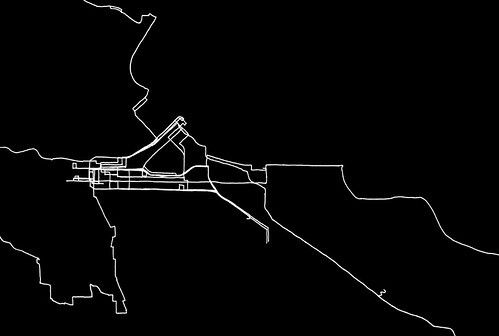 So at a Design Nerd Jam in January 2005, I recruited nine of my friends to voluntarily trace their mobility patterns throughout Vancouver during the entire month of February, 2005. The result was a beautiful and recognizable map of Vancouver, made from mobility patterns of a specific social network.